Displaying Aboriginal Artwork? 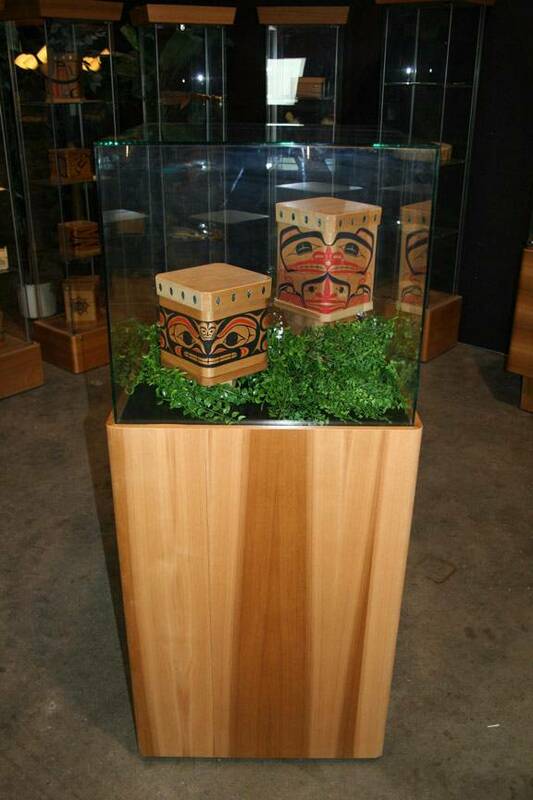 Talk to Spirit Works about showing your culturally sensitive items or antiquities. 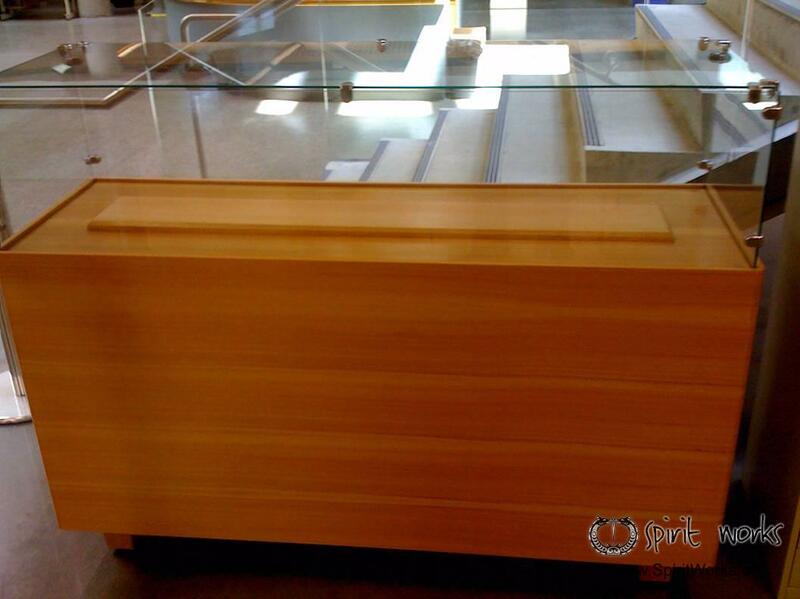 Over the years we have developed a variety of techniques aimed at not only providing our clients with the most beautiful units to complement their pieces but also units specifically designed for the protection of irreplaceable items. There are a considerable number of variables that must be addressed when displaying or storing artwork and antiquities. These variables may include: U.V. protection, humidity and/or temperature control, security glass, specialized support mechanisms, and so on. At Spirit Works we’ve had much experience in this discrete area. Based on this knowledge we are able to provide our clients with the best solutions for any given situation. 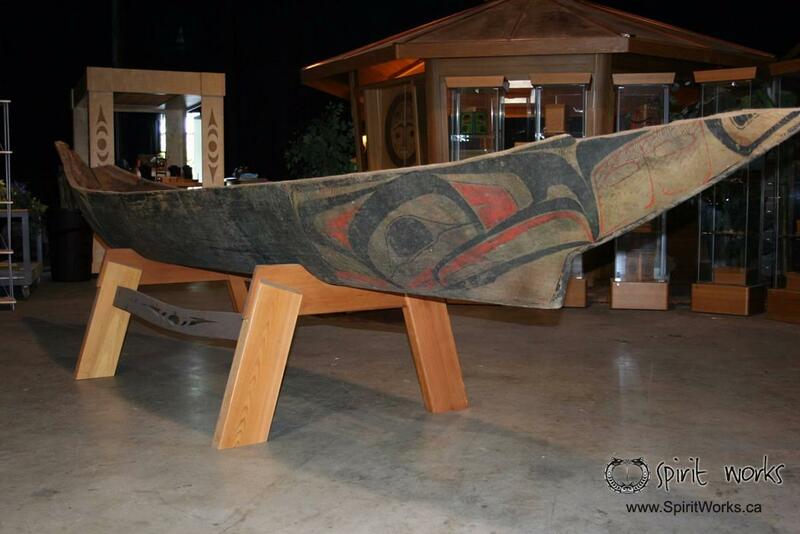 Spirit Works has experience in handling valuable and delicate works of art and antiquities. 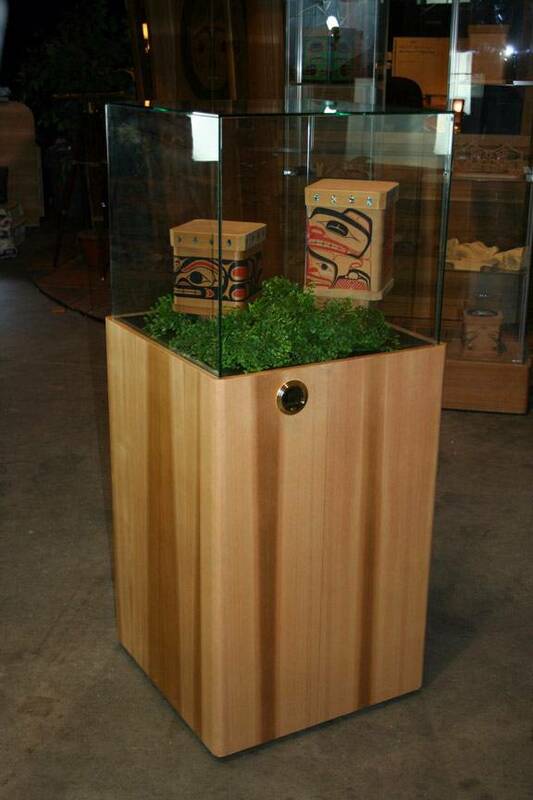 There is much involved in respectfully and safely storing and displaying such pieces. 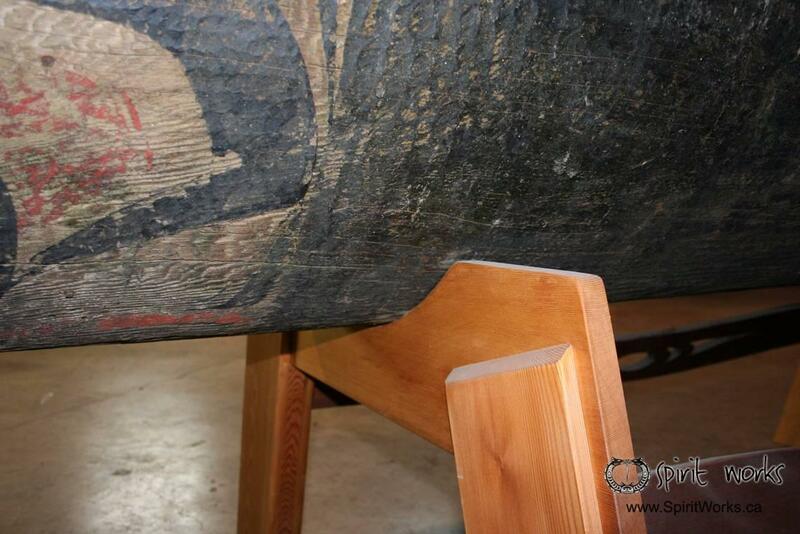 Spirit Works has experience in handling valuable and delicate works of art and antiquities. There is much involved in respectfully and safely storing and displaying such pieces. 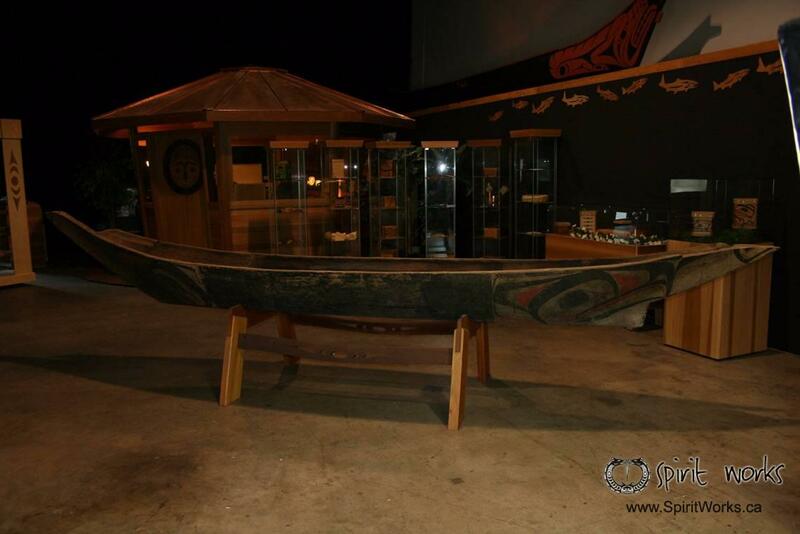 In this case Spirit Works was tasked with designing a supporting structure to display an antique canoe carved by the well respected and iconic Nisga’a artist Norman Tait. Because of this antiquity’s fragility the weight of had to be dispersed perfectly even along its keel cross-wise. 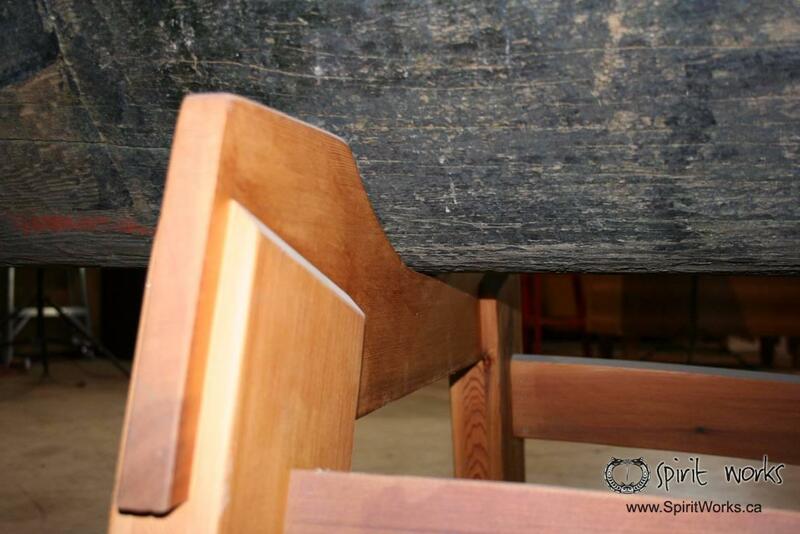 Using various techniques we provided a perfectly scribed support that will both stabilize the Canoe and remove the stresses that can cause breakdowns within the structure as it ages further. Cree artist Pat Bruderer was looking for a way to show the intricacy of her Birch Bark Bitings in a classy and stylish manner. 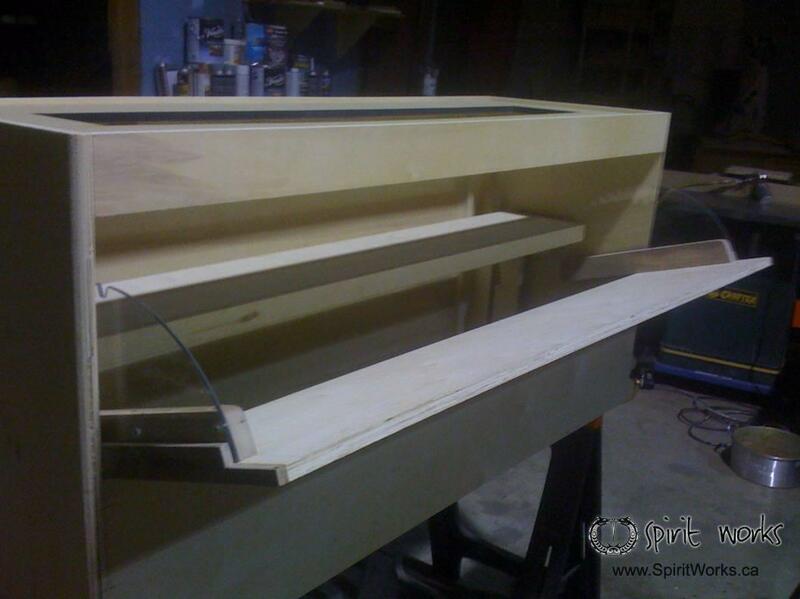 Spirit Works as always partnered with artists to find the best possible way to showcase their pieces. In this case Cree artist Pat Bruderer was looking for a way to show the intricacy of her Birch Bark Bitings in a classy and stylish manner. Birch Bark Biting is an ancient art form that was practiced in many interior territories within Canada. Artists would use it as a means of recording their stories and history. Spirit Works was pleased to be able to marry this incredible interior art form with our ancient cedars (salvaged) from the Coast. When protecting your investment in art or antiquities humidity levels should always be a consideration. There has been many a financial and/or cultural loss that has occurred as a result of this factor not being taken into account. 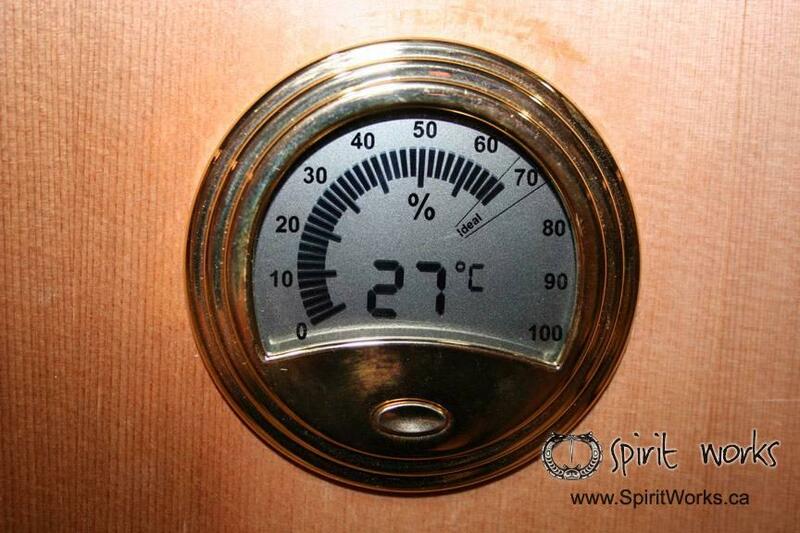 Spirit Works has developed cabinets which include humidity control systems. Kwantlen College needed to display their ornamental and very expensive ceremonial Mace. They were concerned about two things. First the sun damage that could easily occur given the sunny location it was to sit. Secondly they were concerned about the damage that may occur as a result of having to maneuver the mace out of a small door opening in the glass. Spirit Works takes great pride in our ability to work collaboratively with our customers to tailor a solution for any given problem. 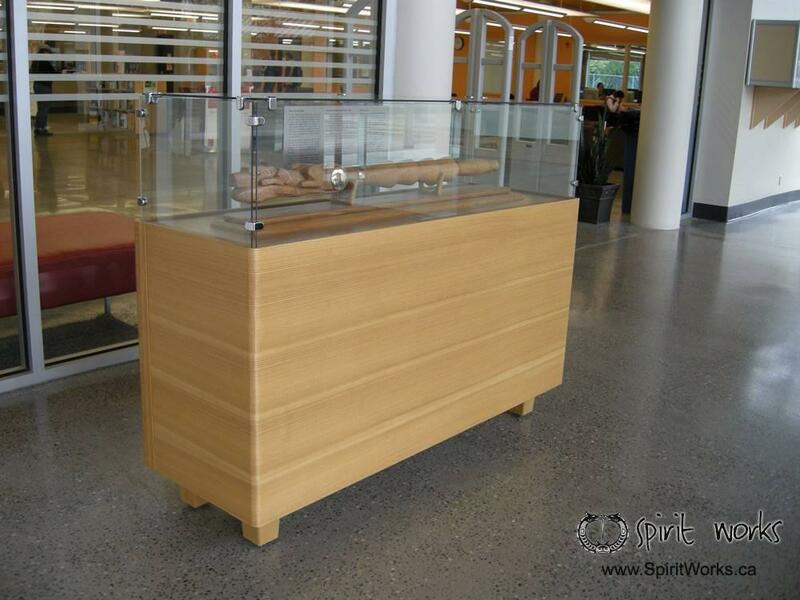 In this instance Kwantlen College needed to display their ornamental and very expensive ceremonial Mace. They were concerned about two things. First the sun damage that could easily occur given the sunny location it was to sit. Secondly they were concerned about the damage that may occur as a result of having to maneuver the mace out of a small door opening in the glass. This first problem was easily solved with the use of UV protective glass. The second, although much more challenging, required some creative engineering. 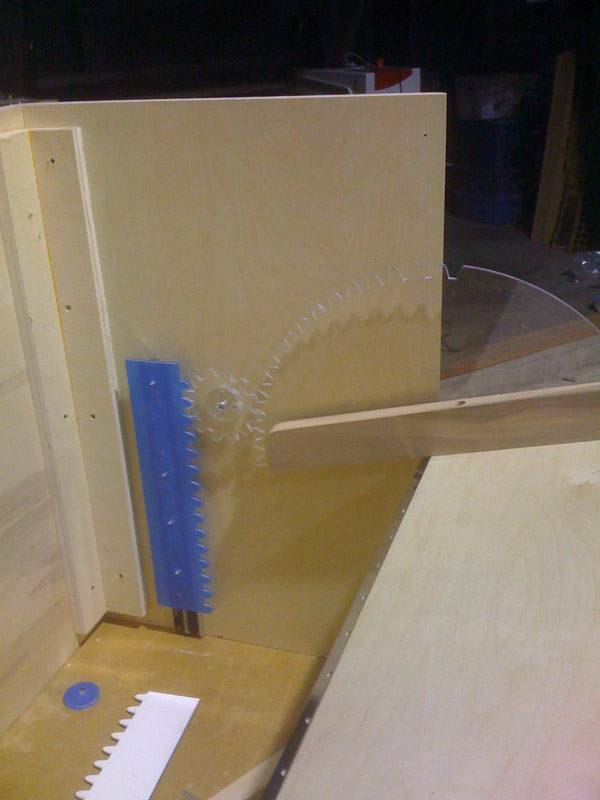 For this we developed a complex gearing system so that as the back door in the wooden base of the cabinet was opened the pedestal supporting the Mace would drop down gently using counterweights. The Mace could then be comfortably and safely pulled out of the wide opening in the back of the cabinet.